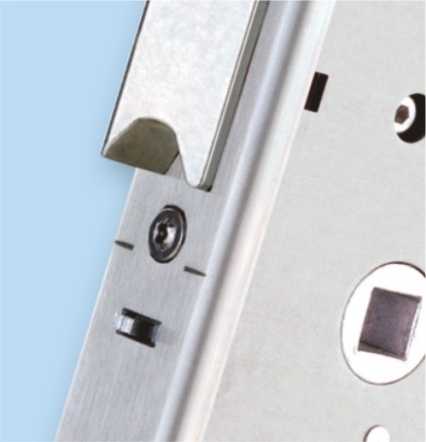 The numerical keypad is compatible with electromechanical locks and electric strikes. 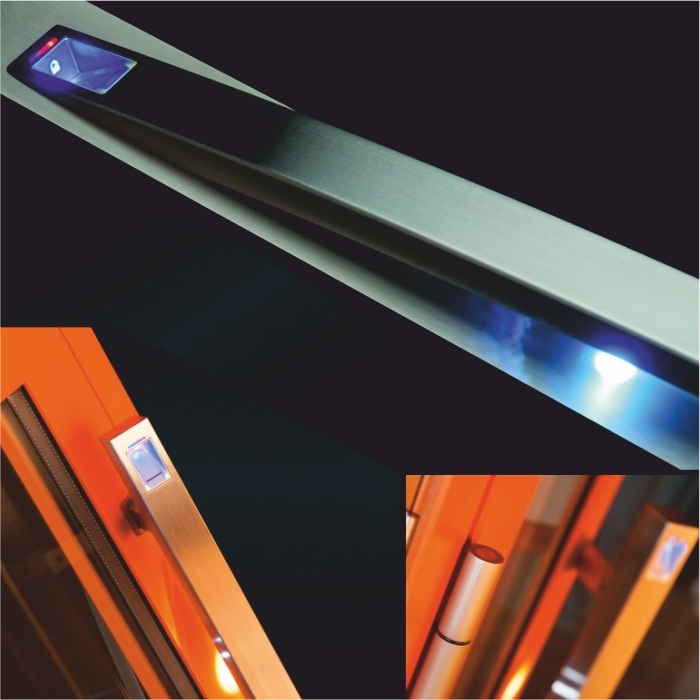 This solution is equipped with blocking mechanism, usually used in cash dispensers, that makes it safeguarded against tampering. However, an authorised person may unlock the mechanism easily. This system, resistant to tampering, presents the greatest level of recognition, even in case of changing palm dimensions in children or in case of finger injury. No fingerprints pattern is left on the scanner. 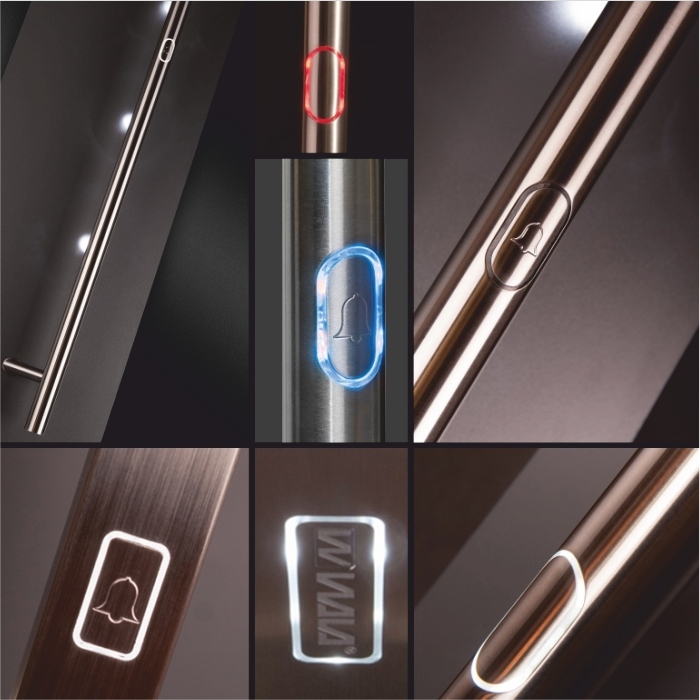 Operation of the handle is extremely easy, as the sensor is integrated in the handle. 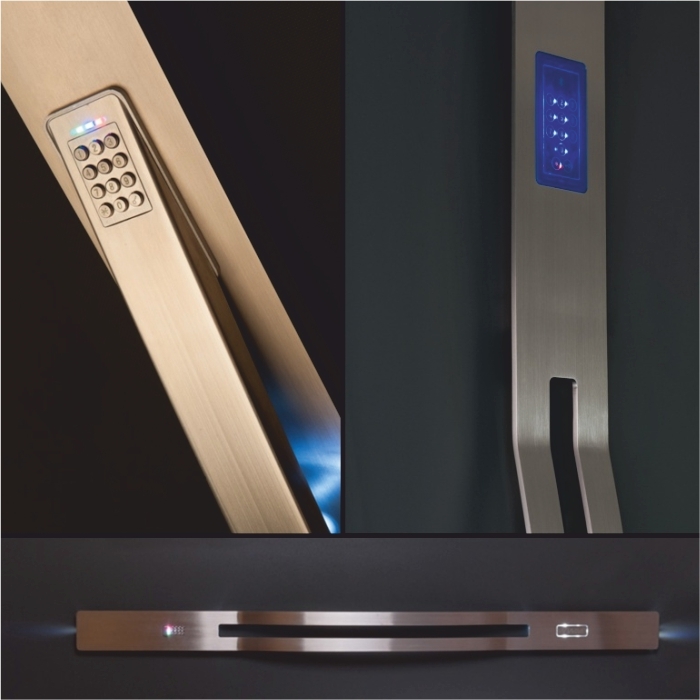 It is a very comfortable solution that allows for free opening of the door by simply touching the door pull. The doors are re-locked after locking them manually or by the door closer. The EKEY scanner is dedicated for individual customers. It works perfectly for residential buildings or small estates. The memory of the sensor allows for storing up to 99 sets of fingerprints. For security purposes, it is recommended to add fingerprints from left and right palm to your system. A functional solution that eliminates the necessity of carrying keys . 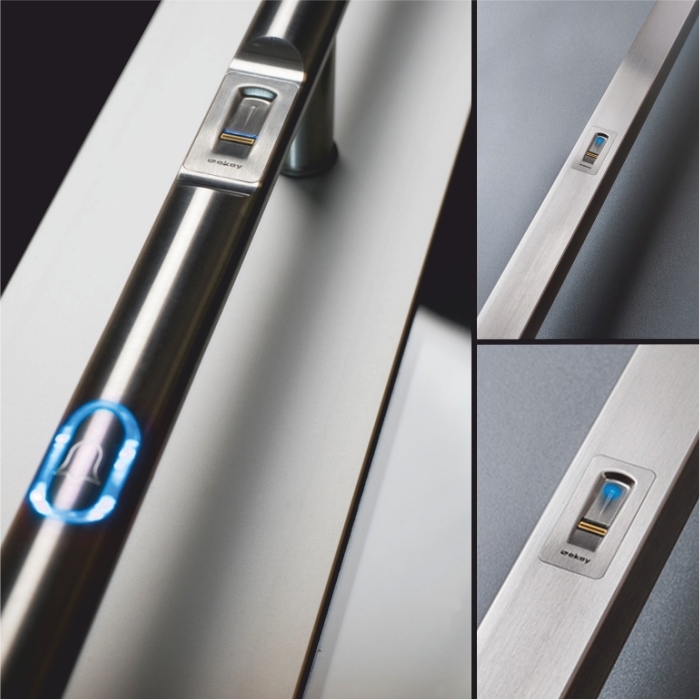 An electric strike mounted on the lock allows for setting day mode - the keys are not necessary, it is enough to pull the door pull to enter the house. Switching to the night mode means that entering is possible only using the key. Blocking of the door to prevent full opening. The basic function of the rigid chain is preventing from unwanted intrusion. The chains used commonly in the past could damage the surface of the door or the frame in case of catching the chain between the door and frame. Using a rigid chain eliminates this problem. 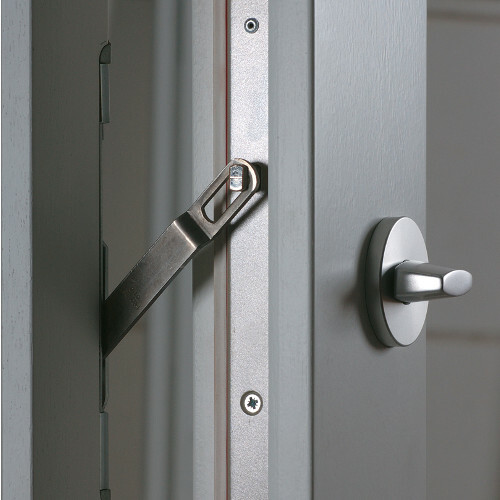 Small dimensions of this solution allow for minimal opening of the door. The chain is attached to the door by means of screws and hidden bolts.